We will advance the Detroit City of Design initiative through an inclusive, collaborative space for adaptive design and accessibility for People with Disabilities. In industrial design at WSU, we teaches human-centered design approaches and inclusive design. Projects focus on urban mobility, accessibility and quality of life improvements for People with Disabilities. We are taking this work outside the classroom to partner with local entrepreneurs who are working on adaptive technology and assistive design. Through classroom projects and beyond, my students and I are actively advancing an inclusive design agenda in Detroit. 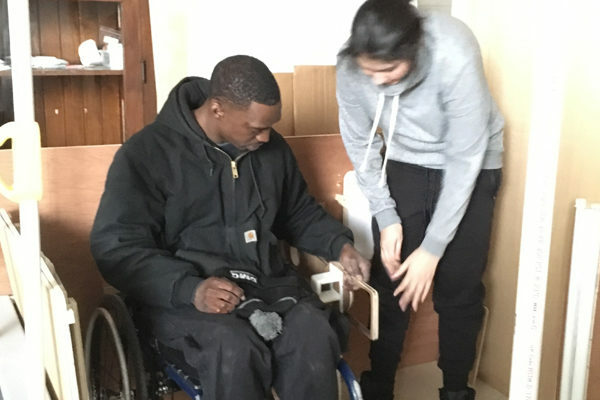 In the product design studio, we have actively partnered with wheelchair users from the Rehab Institute of Michigan to identify unmet needs and co-create product design solutions related to mobility, performing acts of daily living and improving overall quality of life. Students continued that work outside of the classroom by working with a local entrepreneur to launch an adaptive apparel business. 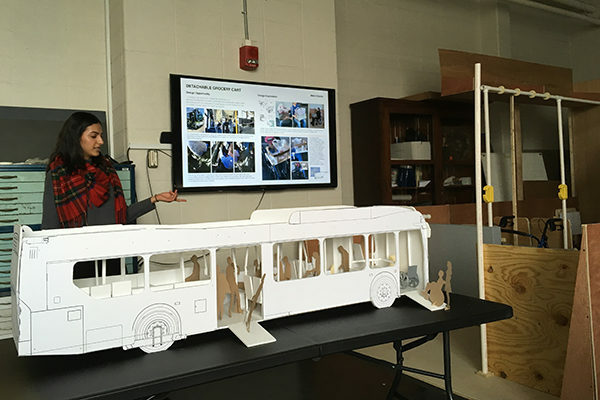 In the urban mobility design studio, we have worked with Detroit Department of Transportation to re-envision what a city bus could look like if designed for better inclusion and respect for wheelchair users and their travel companions. In the past, we worked with the Youth Transit Alliance to ideate solutions for better communication for Cody Rouge students in transit throughout the day, from school to after school programs and home. From the start, this work has been about building collaborative relationships and accessible opportunities. At WSU, undergraduate students are learning the importance of inclusive design through transformative classroom experiences and solving for immediate and local needs with real-world implications. We want to accelerate our efforts with the Rehab Institute of Michigan or another entity like the VA to develop a design process and an environment that is far more inclusive of People with Disabilities. However, we have found it challenging to continue classroom projects beyond early phases of development as project partnerships become difficult to maintain when student designers move on. Therefore, our next step is to create a wheelchair accessible workshop to develop and test prototypes – a space that is more permanent so design development can be ongoing. We will also test our belief that collaborative design and innovation can be a form of occupational therapy (much like art, music, sports, horticulture, etc.). Therefore, we are envisioning a maker-space/fab-lab in the midtown/WSU area where design students and professionals can work one-on-one with wheelchair users to co-design solutions for unmet or poorly met needs.